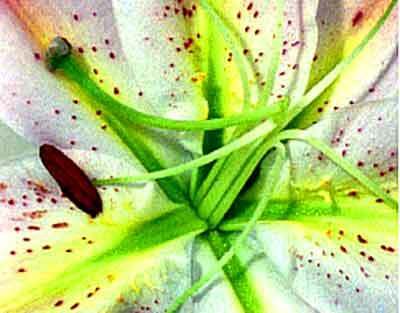 A collection of artists' and archival films inspired by gardens and horticulture. The programme included some of the earliest films to be made showing the growth of plants with time-lapse photography and an instructional horticultural film from the 1940s. Titles by artists demonstrated the diversity of responses to such a captivating pursuit. Running time approximately 95 mins. Curated by Peter Todd. With thanks to artists, the BFI, Lux and Arts Council England. 'Percy Smith (1880 - 1944) was world famous as a photographer of plant life. Probably the first British example of time-lapse photography as applied to the growth of plants' Monthly Film Bulletin, November, 1955. 'One shot, early summer in Mendocino. Song, All My Life by Ella Fitzgerald with Teddy Wilson and his orchestra' B.Baillie. LFMC (Lux) catalogue. 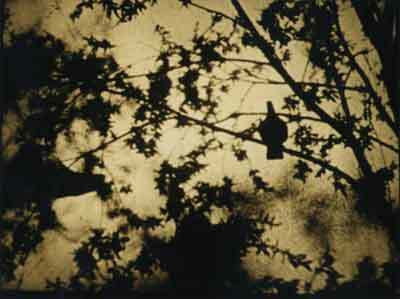 'Flight is a four minute work made from a tiny fragment of film of pigeons, semi-silhouetted in trees, shot with a long lens. The imagery has been slowed-down and sometimes stopped, using an optical printer to re-work the original' Nicky Hamlyn. Coil Magazine, October, 2000. A new self-made work made with Garden Pieces in mind. A film for a dead cat. 'Filmed in [gardens of the Villa d'Este] Tivoli, Italy, and accompanied by the music of Vivaldi, Camilla Salvatore plays hide and seek in a baroque night-time labyrinth of staircases, fountains, gargoyles and balustrades. The camera zooms into and away from the mask-like faces, water spirits carved in stone, as the figure in eighteenth-century costume scurries through the maze.' BFI Avant-garde catalogue. Made in co-operation with the Royal Horticultural Society and sponsored by the Ministry of Information and Ministry of Agriculture and Fisheries. ' Instructional. Different methods of digging over ground before sowing' National Film Archive catalogue. A self-made film with Garden Pieces in mind. Inter-titles and images of a suburban garden as a record of a relationship. 'Looking at these [garden] pieces again tonight, see the beachcomber artist, the searching, experimental spirit, so quintessentially Margaret, and a poignant sense of her own mortality: camera circles round a summer garden, lush with life, seeking shadows within the light, pausing momentarily as it passes over an empty chair.' Gerda Stevenson. 17 May, 1999. The Orcadian. 'Brakhage made Mothlight without a camera. 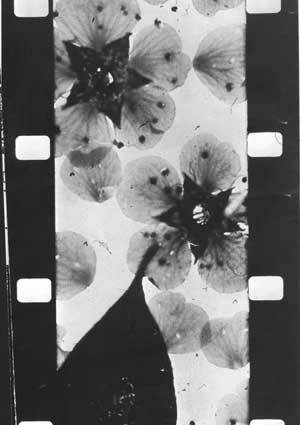 He just pasted mothwings and flowers on a clear strip of film and ran it through the printing machine.' Jonas Mekas. LFMC (Lux) catalogue. It starts and ends in a garden in between. 'Alice dreams she sees the White Rabbit and follows him down the Rabbit-hole, into the Hall of Many Doors'. Film Inter-title. 'A Japanese concept of time/space is realised through the Zen garden of Ryona-Ji. With text by Arata Isozaki and music by Takehisa Kosugi.' LFMC (Lux) catalogue. 'A depiction of the forced development of a hothouse flower.' Lux catalogue. This selection of artists' work focused on themes in Exhumed - memory, reminiscence, 'a sense of place', mortality and the changing world around us. Running time approximately 70 minutes. Curated by William Rallison. With thanks to artists, the Lux, BBC Worldwide library services and Arts Council England. William Blake, poet, visionary and famous Lambeth Resident is recalled through the stories of local people and lines from his poem 'London'. Clio Barnard introduced and discussed her film prior to the screening. Franko B's collaborative work with Tim Etchell's presents a 'pick n mix' catalogue of death choices - ranging from the peacefully domestic to heroically brave. We are left pondering our own demise. An examination of a theory from the late nineteenth century that the final image seen before death is retained on the retina. Hopes were raised that such images would provide conclusive evidence in homicide cases. Filmed around London during the night and early hours of morning, Nocturne reveals a cityscape that few experience. The empty streets and unfamiliar shadows seem to connect us to a former time and place that links past generations of urban life to the present. A summer's day - playing a computer game, drinking tea in the garden: simple activities to be enjoyed cherished and remembered. Ian Bourn and Helen Chadwick stage a mini-drama that appears very familiar. But what lurks beyond the next garden fence? 'My bag has a thousand pockets. In each one is a memory.' Memories are recalled by the artist's father as he prepares for an outing. A bag prompts and frustrates recollections of his former life in Germany as a young man. A child dances in a beautiful old garden with high clipped hedges. As she moves through it her actions and energy seem to release a hidden spirit. 'A sense of place' is evoked as the child becomes the garden's muse - her presence is somehow required. The Quay Brother's response to the extraordinary museum collection of Sir Henry Wellcome. This vast array of items, associated mainly with medical research, is the inspiration for an animated film that serves as a kind of inventory of the museum's holdings. The furore surrounding the infamous Millennium Dome now seems like a distant memory. MM is a survey of an area in south east London that came under intense public scrutiny, and whilst imbued with high expectations, ultimately disappointed. Its legacy, an unmistakable London landmark.